It’s our 150th birthday this year, so, as the UK’s leading supplier of fencing and decorative garden structures, what better way to celebrate than with a host of new products, offering the largest range of pressure treated garden products on the market. 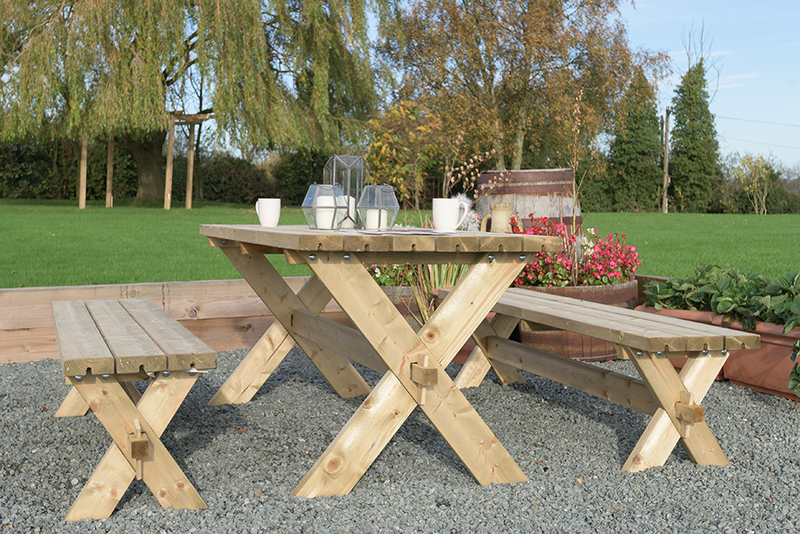 If you are looking to make the most of the trend for outdoor living, our new product offering features a range of beautiful garden tables, benches and seats, including the Classic Garden Bench & Table Set. Featuring a solid construction and modern styling, the bench and table set can seat at least 6 people, making it perfect for al fresco dining. The new range also caters to green-fingered gardeners, with a selection of new planters and grow your own products available. Our popular Contemporary range has been updated with three new planters, while the new Potting Table offers gardeners the perfect space to prepare plants and seeds, and acts as a handy storage solution. We’re thrilled to be celebrating our 150th anniversary year by releasing such a fantastic range of new products. As with all Grange products, our latest additions are FSC® certified and benefit from our new 20-year pressure treatment guarantee against wood rot and decay, which is the longest of its kind on the market! Browse our full range of new products here.